There are many reasons why Leo Vegas has a reputation for being one of the best online casinos in operation today, from its impressive game catalogue, to its user-friendly platform, to its award-winning mobile casino. The team at BettingPlanet.com dives under the surface of Leo Vegas Casino to see what makes this online gaming venue so special – trust us, you won’t be disappointed. Leo Vegas is accessible via instant-play, which means games are available with absolutely no downloads required. 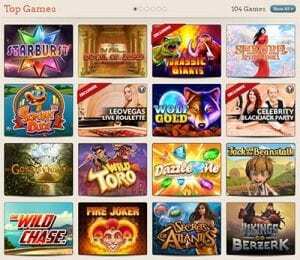 The casino is compatible with desktop, laptop, smartphone and tablet, with games available directly over the Web browser of your computer or device for free play in practice mode or for real money bets. Leo’s instant-play mobile casino is compatible with iOS, Android, Windows Phone and all data-enabled mobile devices, while a downloadable native mobile app is also available for free for both iOS and Android operating systems. If you want to dig right in and see what it’s like to play for real money at Leo Vegas but don’t want to commit to laying down any of your own money, simply signing up for an account will earn you 20 free spins to use on some of the most popular online slot games, Starburst, Gonzo’s Quest, Jack and the Beanstalk, Twin Spin or Dazzle me. Note: The welcome bonus and free spins are only available to players from United Kingdom, Canada, New Zealand, Ireland, Austria, Switzerland, Germany, Sweden, Norway, Finland, Slovakia, and Denmark. The bonus is subject to a 35X wagering requirement before any winnings can be withdrawn. If live dealer gaming is more your style, you can opt instead for the $100 bonus that’s up for grabs for all those who venture into Leo’s live dealer casino (remember, you must select the Live Casino New Player Bonus when registering your account). Just make a real money deposit of $10 or more, and LeoVegas will match it by 100% up to $100. Note that deposits made using Neteller or Skrill are not eligible for the live dealer bonus. 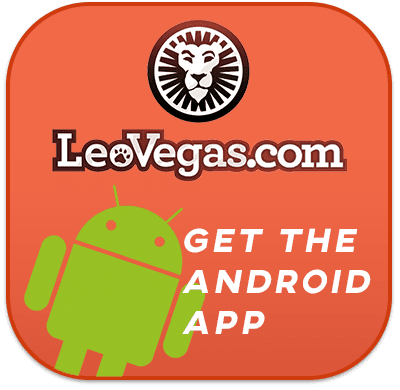 Registered players at Leo Vegas are privileged to all kinds of one-off promotional offers, bonuses and competitions that aren’t available to the public. We’ve seen a wide range of special offers from Leo Vegas over the years, including promos to celebrate new game releases, festive seasons, and more. Bonuses aren’t just limited to matched deposit bonuses, free spins and casino credits – we’ve seen Leo Vegas offer real world prizes including the latest electronics from Apple, holidays and large cash sums. Just register and sign into your account at any time to see what promos are currently on offer, and opt-in to receive promos by email to stay in the loop. New games are added constantly and Leo Vegas seems keen to branch out and add new software developers to its portfolio from time to time – we’ve seen plenty come and go over the years. The software available to you may also depend on the country you’re playing from, as some software is blocked from certain regions due to geo-restrictions. The live dealer casino is where Leo Vegas really shines, hosting the largest selection of live dealer casino software of any online venue. It’s unusual for an online casino to host live dealer software from multiple studios, but Leo Vegas houses a live platform that contains a large selection of live variants from software developers like NetEnt, Evolution Gaming, Lucky Streak, Ezugi and Leo’s own customised live dealer software. Note that real money bets are required to sample the live dealer casino suite. Leo Vegas also offers the exclusive Chambre Séparée, which is a super sophisticated private live dealer gaming lounge available exclusively to LeoVegas members. The Chambre Séparée was upgraded mid-2017 to offer a wider range of live casino games, including Celebrity Blackjack Party, LeoVegas Roulette, LeoVegas Blackjack and LeoVegas Dansk Celebrity Blackjack. Games in these private gaming rooms are hosted by highly professional, immaculately presented dealers and use state of the art lighting, sound and offer multiple camera angles. Players can also chat with the dealers for a more social element of online play. As far as licensing and regulation goes, Leo Vegas really has all the right boxes ticket. The casino has left no stone unturned in making sure everything is running completely above board, with the company receiving licensing within multiple online gambling jurisdictions – the UK Gambling Commission, Malta Gaming Authority and the Danish Gambling Authority. Leo Vegas fully supports responsible gambling practices, providing customers the option of setting their own wagering limits, loss limits, session limits, time alerts and more to ensure gaming remains a fun recreational activity rather than problematic. All transactions at Leo Vegas are protected by 2048 Bit SSL (Secure Socket Layer) digital encryption, which is one of the highest levels of online security available today, so players can rest assured they are playing in a safe and protected online environment. The deposit and withdrawal options available at Leo Vegas will depend on which country you are playing from, and the site is unfortunately vague about what those deposits options are unless you sign in to your account and see for yourself what payment methods are available to you. Even the customer help team via live chat would not disclose this information to us, which was one of the only real disappointments during our review of this casino. From our past experience, the deposit options available at Leo Vegas include Visa, Neteller, Skrill, Paysafecard, Trustly and Zimpler, but there may be other options available depending on your locale. All deposits are subject to a minimum of $20, and all withdrawals to a minimum of $30. Most deposits are processed instantly (except bank transfers – allow a few business days), whereas withdrawals can take up to five working days to hit your account. Players are allowed three withdrawals per rolling 30 day period with no charge, but will be subject to an extra $3 fee for any additional withdrawals. Leo Vegas accepts multiple currencies, including EUR, GPB, NZD, SEK, NOK, DKK, CHF and CZK. Customer service is a little difficult to locate at Leo Vegas, as there is no clear ‘contact’ section. You will find customer assistance by pressing the small ‘help’ icon in the bottom right hand corner of the screen, or by going to the ‘support’ page and scrolling down to the bottom of the FAQ section. If you can’t find the answer you are looking for in the FAQs, Leo Vegas provides assistance via live chat, email and toll-free phone line. Visit Leo Vegas Casino today to claim 20 free spins with no deposit required, followed by up to $1000 in matched deposit bonuses spread out over your first four real money deposits with the casino.